A popular ploy to get shoppers to “save” money is the “Friends and Family Sale”, which of course, always draws me in with their tempting emails and “exclusive” codes. The Gap F&F sale started this week; after the early access, it’s not so exclusive anymore…it’s now 40% your entire purchase (including sale/clearance items) until tomorrow August 9th. If you received the email, you also get a code for 50% off 5 regularly priced items in stores only…and that’s where they got me. You can also go to the website and get the code (FF50) to use in stores as well; you may have to print it. 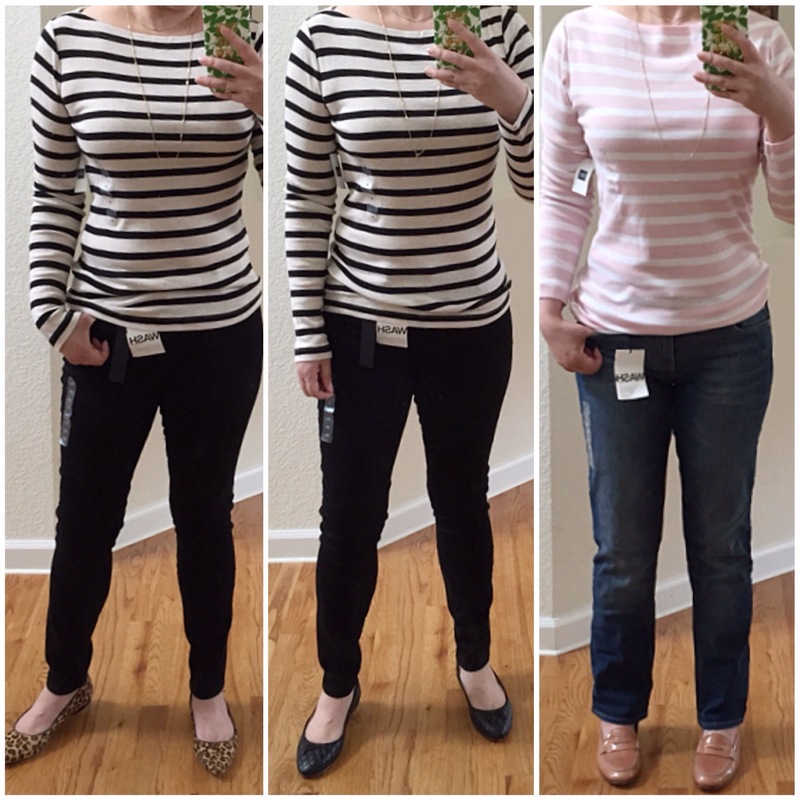 Lately, I haven’t been impressed with Gap but I thought I’d checked it out anyway for basics and the true skinny jeans that I love so much; at 50% off the regular price of $70, it would be a nice discount. 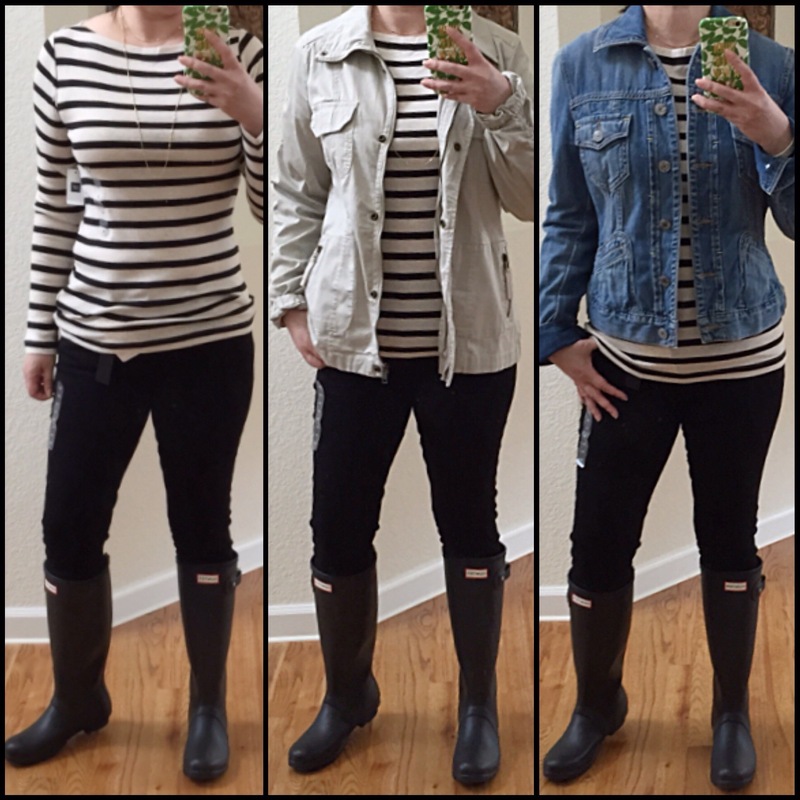 I did find a few things that I really liked, all basics, including two pairs of jeans. 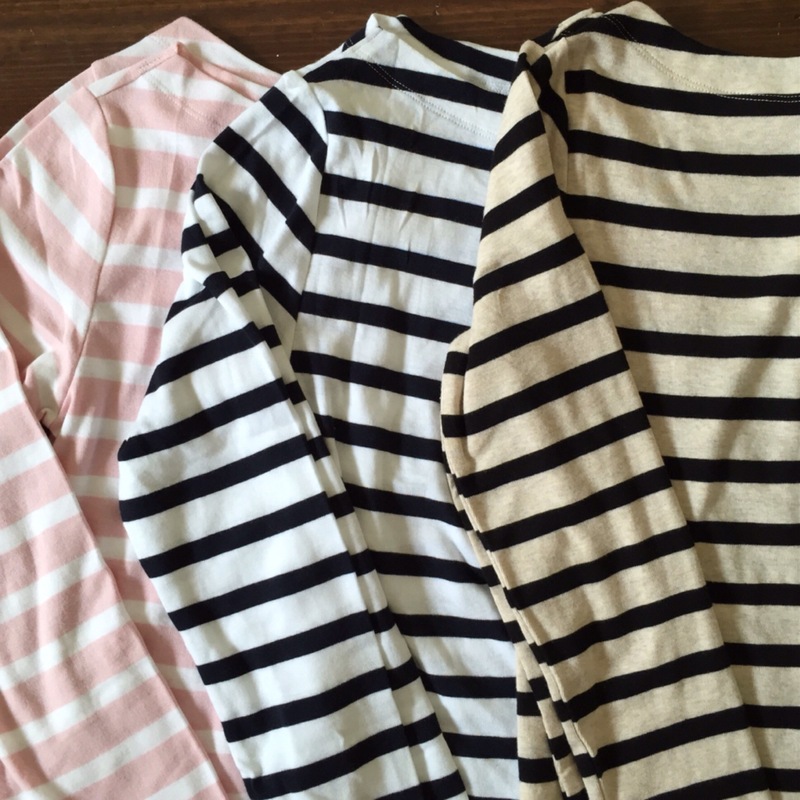 I have a bit of a problem with striped tees…I can’t stop collecting them. And normally, I’m not a fan of boatnecks or bateaus because of my wide shoulders but these Modern Boatneck Tees were just too cute and so comfy that I had to. It comes in many striped and solid colors; regular $25 each. 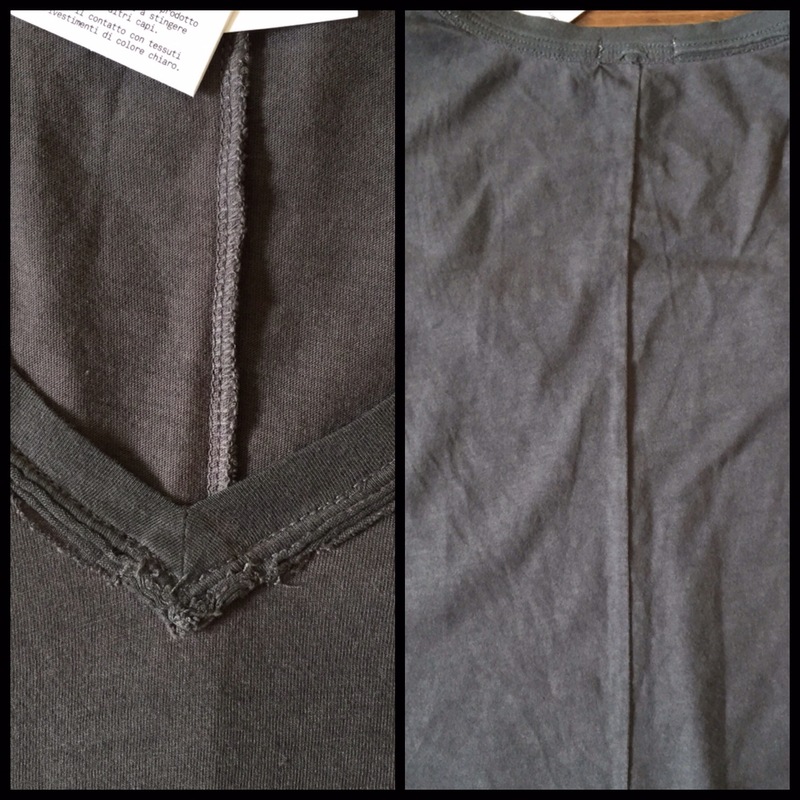 They are quite stretchy but I still sized up to a large (the medium would’ve worked too) to have a slouchier fit. The sleeves are (of course) too long on me but I actually don’t mind it in long sleeve tees, gives them a cozier feel. The first two pics are with the medium size and the far right is a large. See more ideas of how I can style these striped tees in the picture below with the black skinny jeans. 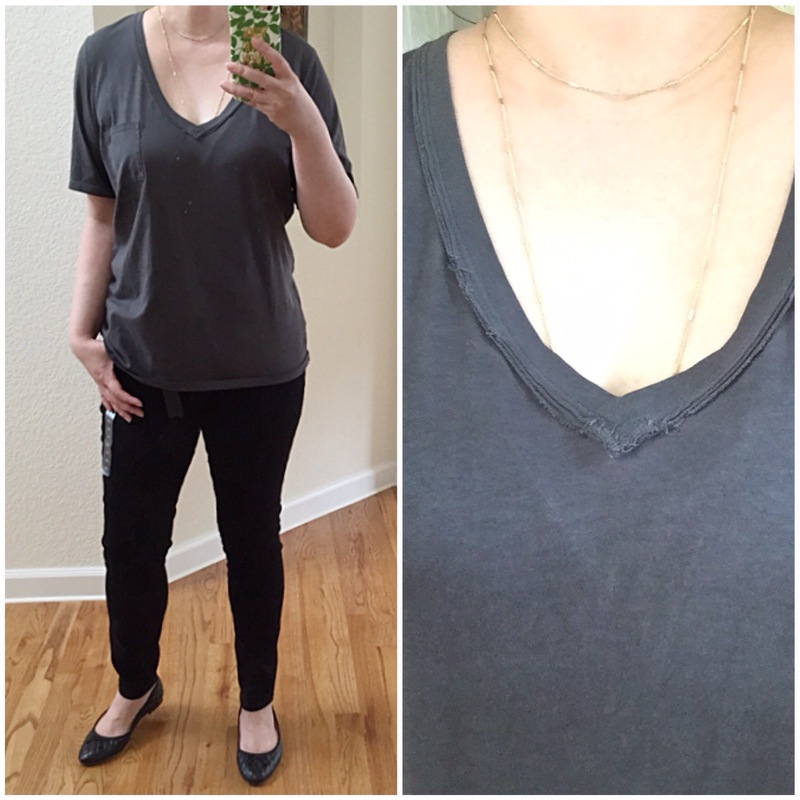 Then I found these V-necks which is actually the main reason I went there; I’ve been loving V-necks lately to showcase this Banana Republic necklace (now $20)…so pretty with a lower neckline. 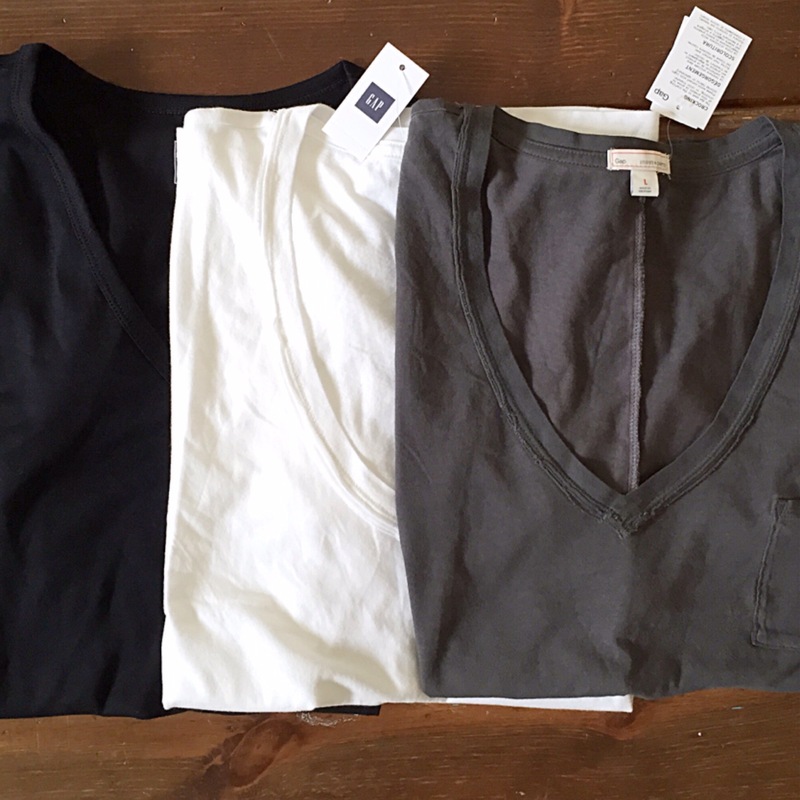 These V-neck pocket tees (reg $25) are very similar to the Madewell Hi-Line tees that I also love but the Gap version actually seems like it has a more substantial material. I love the “unfinished” detail in the neckline, it has a distressed look to it. By the way, it’s only $6.99 online (great deal!). 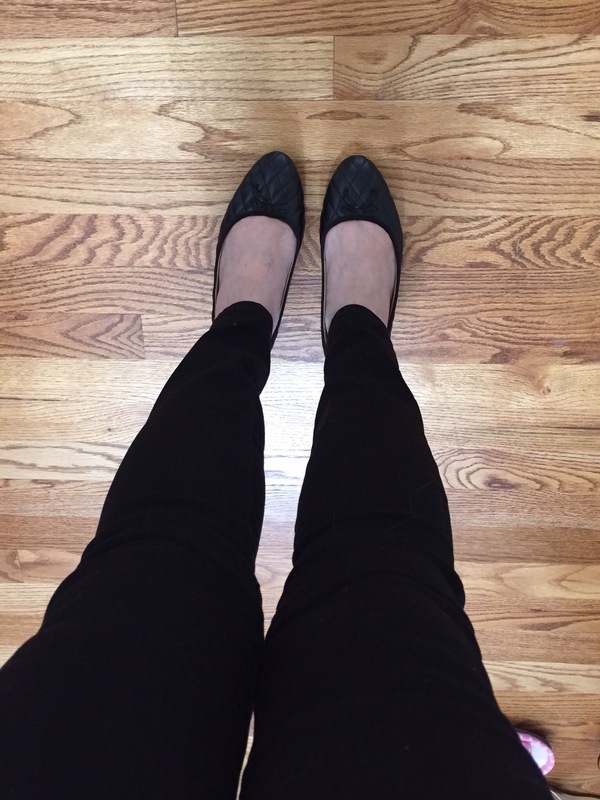 The other reason I went to Gap is to get another pair of their True Skinny jeans; found them in the Resolution True Skinny in a black version (reg $70) which will be on major rotation this Fall/Winter for me. These are my favorite skinny jeans; I have it in the dark denim version also. It cinches you in all the right places and is so comfy. I don’t feel like my skin will come off along with my jeans at the end of the day. If you’re looking for comfortable, flattering skinny jeans, especially if like me, you don’t have a flat stomach, then check these out. Another pair of jeans that caught my eye is the Real Straight cut (reg $70); it has a lighter wash but nothing crazy. I got in the Short length which is perfect if I cuff it but too short if I leave it uncuffed. I might exchange it for a Regular length so I can wear it cuffed or not. 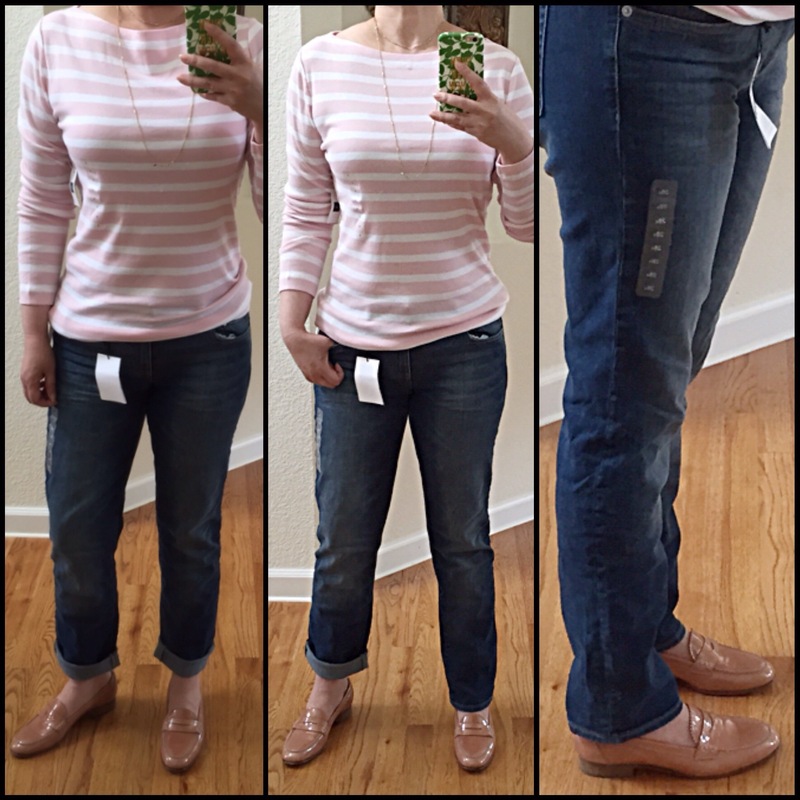 These jeans are so comfortable, true to size and I absolutely love the Straight cut especially when it’s cuffed…it doesn’t have the tapered look which can emphasize shorter legs. I highly recommend if you’re looking for straight cut jeans! So that’s it for now…hope this was helpful and hope you find some worthwhile basics as well.